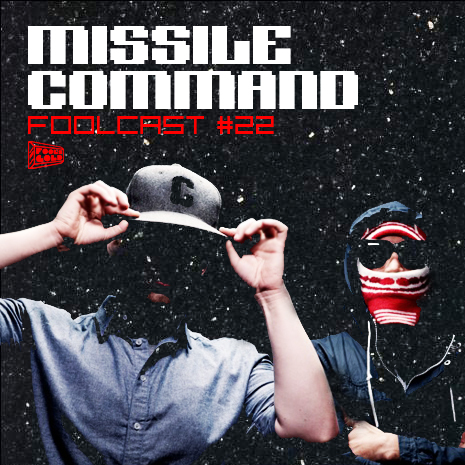 For the latest edition of our Foolcast mix series, we’re proud to present the debut of Missile Command, a new DJ team comprised of Neptunes / N*E*R*D mastermind Chad Hugo and longtime DMV partyrocker Hip Hop Dan. The dynamic duo just got home from soundtracking a weekend of afterparties at Coachella and hopped right back into the booth to put together this Foolcast for us, falling somewhere between a traditional DJ mix – new favorites, remixes, left-field bangers – and a studio broadcast sneak peek. Check the tracklist after the jump, featuring tons of exclusives from the likes of No Planes In Space (another Chad collab, this time with Paul Banks of Interpol), Lupe Fiasco and more.